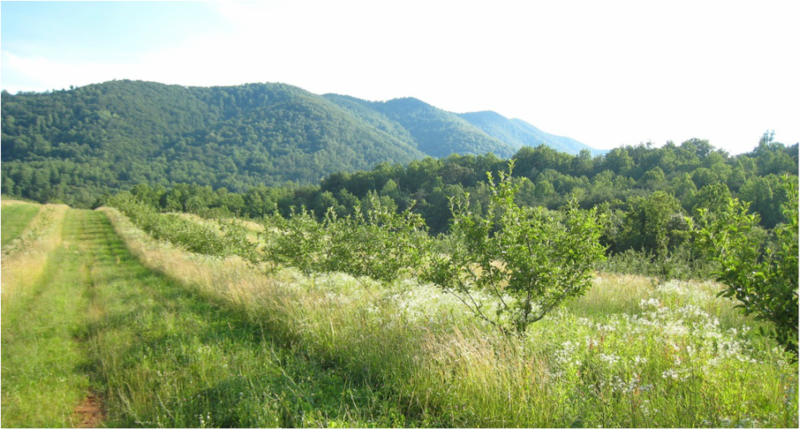 !Come Ride on Miles and Miles of Trails through the Most Beautiful Mountains in Virginia! If you would like to camp with your horse, we have a fenced field for rough camping. All horses are required to bear proof of a negative Coggins test within the last 12 months. There are no designated campsites or hookups. There are portable toilets and two water hydrants for all to use. This area is for people with self-contained horse trailers. You may bring small electric corrals or picket your horse between trailers. Pickets should not be placed so that horses can access tree bark. Reservations are not necessary for field camping. It is a first come first serve for camping spots. Pick up field registration forms and pay as you enter the field (honor system). Forms are located in the mailbox on the information board as you enter the field. Follow the instructions and drop the signed releases and fee in the second mailbox. Parking passes must be displayed at all times during your visit (even if you rent a stall). Camp Field Stalls $20 per horse/per night! This does not include the camping fee. Camp fee rates still apply at $15 per horse per night!! The barn is self-care. Stalls must be left clean or a $50 fee per stall will be incurred upon departure. There is a wheelbarrow and a rake for your use at the barn. Water is available at each barn. You must bring your own shavings for bedding, hay, water buckets and feed. The closest feed store, the Orange-Madison Coop (540-948-5671) is located in the Town of Madison (10 miles). The Syria Mercantile, located near the camping field has bagged ice, deli sandwiches, beverages, groceries, and much more. A U.S. Post Office is also available. Graves Mountain Lodge invites you to visit the Gift Shop and to eat at the Lodge Restaurant. Serving breakfast Sun – Sat 8:30 – 9:30 am; Lunch 12:30 – 1:30 pm (Sunday 1 – 2:30pm); Dinner 6:30 – 7:30 pm (Sunday 6:00 – 7:30pm). (540) 923-4231 or stop by the Lodge Office. All trails are easily accessed from this field.